This Star and Penny Keychain is a great gift for new graduate. GOOD LUCK as you reach for the stars! It is a simple, yet a meaningful Key Chain gift - "Shoot for the stars". 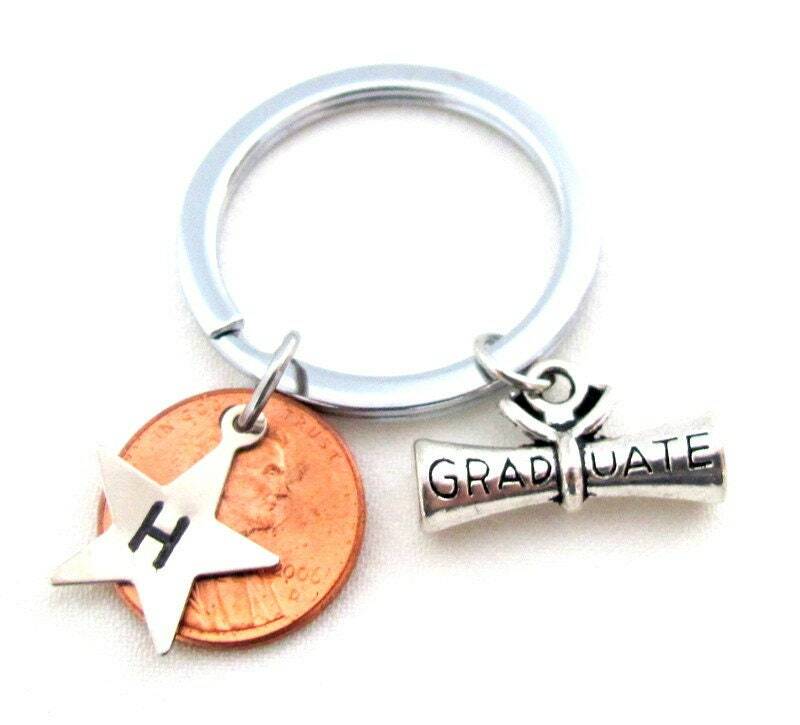 The keychain comes with a U.S. penny and a star charm with any one initial hand stamped on it along with the Graduate Diploma. Please choose the Initial from the drop down. thank you!